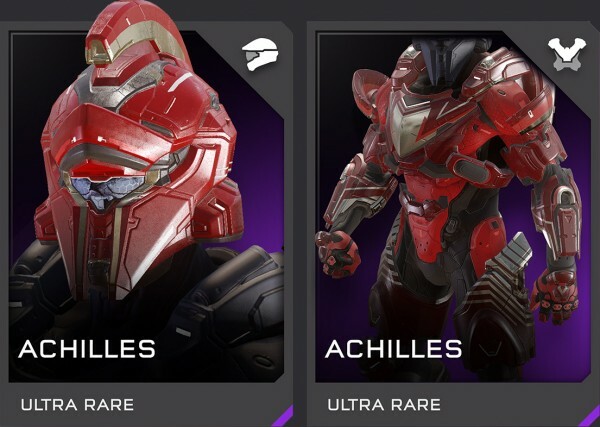 Just in case you are not aware, the Achilles Armor is only attainable through commendations as a Spartan company. There are two armor pieces available: the body armor and the helmet. The armor requires completion of all level 3 kill commendations and the helmet requires level 5 completion. We are quite a ways to go until we reach/complete level 5 kill commendations, but (as of the posting of this thread) we are ONLY 6 COMMENDATIONS AWAY FROM COMPLETING LEVEL 3 COMMENDATIONS, and thus, very close to getting the armor piece! And that's it, that is all we need! I encourage everyone to try to get on and work on some of the stuff we need. "Sorry mate" and "Road trip" will probably be the most problematic of the bunch to get, but if everyone in the company works towards a common goal, I am confident we can get there pretty quickly. Trust me, I alone am probably responsible for completing half of every commendation with how much I've played the game.